Do not install your Smoothwall on your main or only computer. The installation program ERASES ALL DATA on the hard disk or storage device it detects. This includes any inserted USB storage device. Smoothwall cannot be held responsible for any loss of data. Before you start the installation, ensure that all valuable data is safely backed up. Smoothwall cannot be held responsible for any loss of data. 5. Press ENTER to continue. 6. If you are not installing drivers, select Done, press ENTER and go to step 7. If you are installing on a computer which requires non-standard drivers, you are prompted to install them now. a. Select the medium on which the drivers are stored. b. Select Ok and press ENTER. c. Insert the medium into the appropriate drive and press ENTER. The installation program loads the drivers. d. Press ENTER. to complete the driver installation. e. Repeat the above until all drivers are installed. 7. If more than one hard disk or storage device is detected, you are prompted whether to enable software mirroring. To enable software RAID 1 support, select Yes and press ENTER. Continue the installation at step 8. 8. You are prompted whether to create swap partitions. Select Cancel to skip this step. To create a swap partition, select Minimal swap partition and select Ok.
9. Select Ok again to proceed with the installation. The installation program continues with the core installation. 11. Select Ok and press ENTER to continue. 12. The Smoothwall continues with the installation. When complete, you are prompted to reboot. 13. 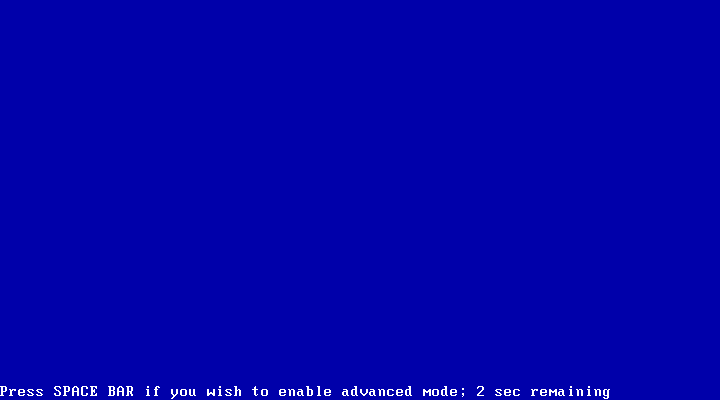 Once the reboot has completed, you are prompted whether to restore an existing archive. To skip archive restoration, select No and press ENTER to continue. Go to step 17. Else, select Yes and press ENTER to continue. 15. Insert the media containing the archive of migration settings. Select Ok and press ENTER. 16. Select the relevant archive. Select Ok and press ENTER. The Smoothwall restores the configuration. 17. Choose your keyboard layout, using the spacebar to display the keyboard options, and the arrow keys to move up and down the list. 18. 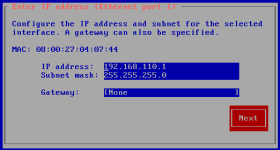 Configure a valid hostname for your Smoothwall. We recommend that you only use lowercase characters in the hostname. 19. Select Next and press ENTER to continue. 20. 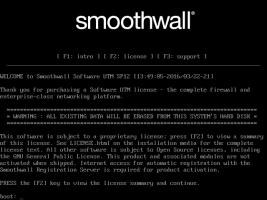 You are prompted to configure the interface used by the administration user interface to access the Smoothwall. You configure all other interfaces separately — see Working with Interfaces and Roles . 22. If you have a Software UTM serial, skip to step 23. 23. You are prompted to configure passwords for the administration user accounts. 24. Select Next and press ENTER. 25. You are prompted to configure passwords for the root user account. 26. Select Next and press ENTER. 27. 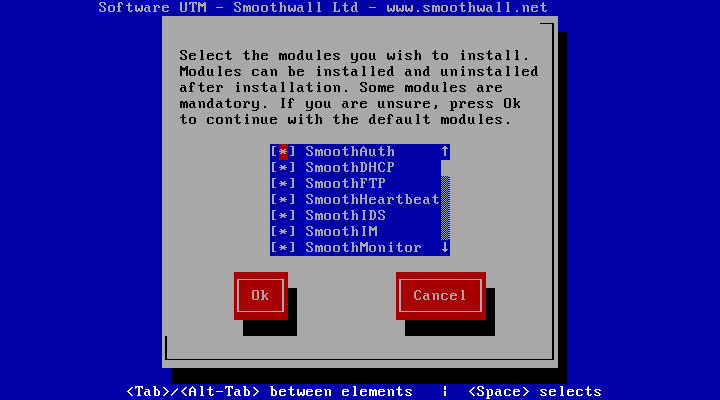 Your Smoothwall now reboots to complete the installation.